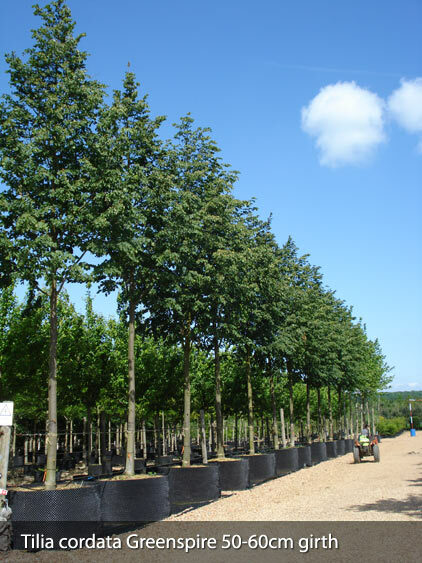 Standard Trees are defined as trees with a noticeably upright stem, which is clean of lateral growths, supporting a well branched crown. 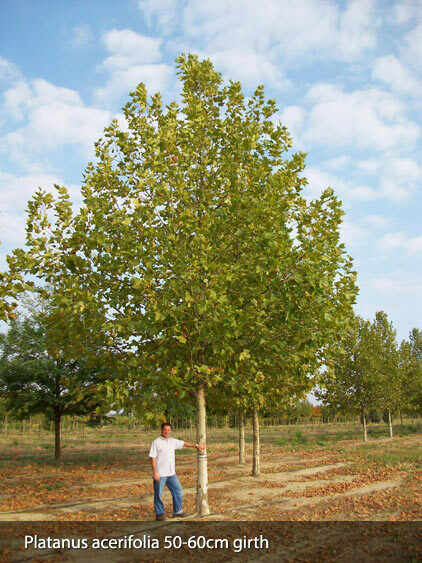 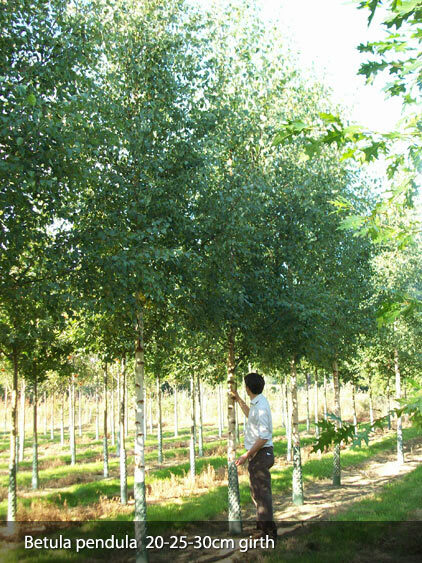 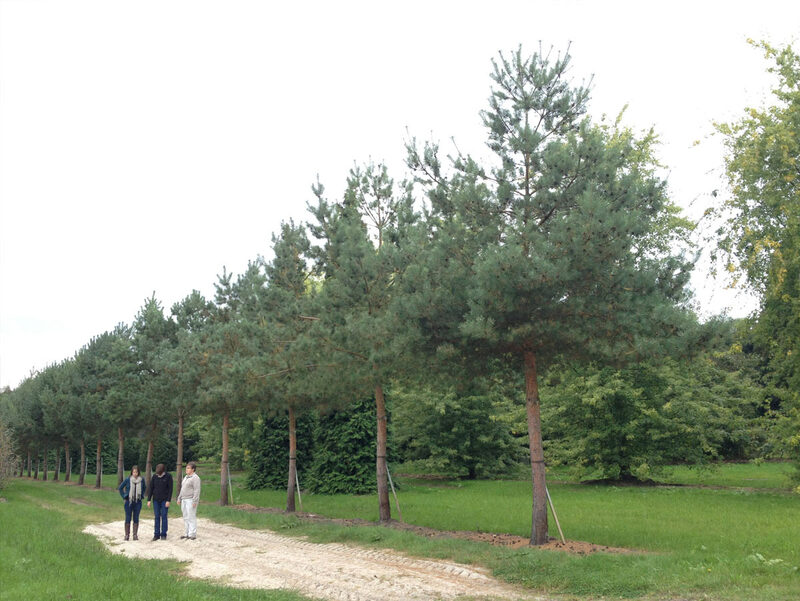 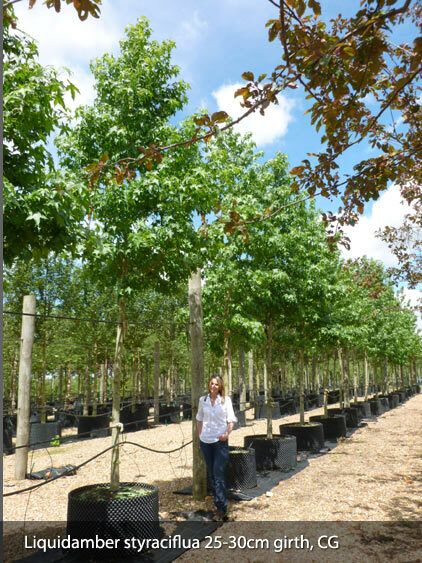 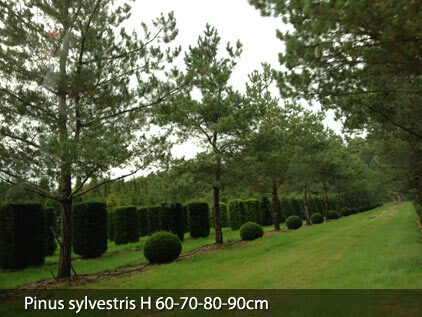 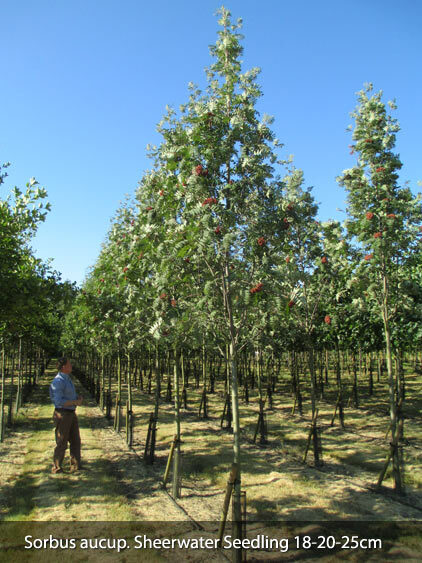 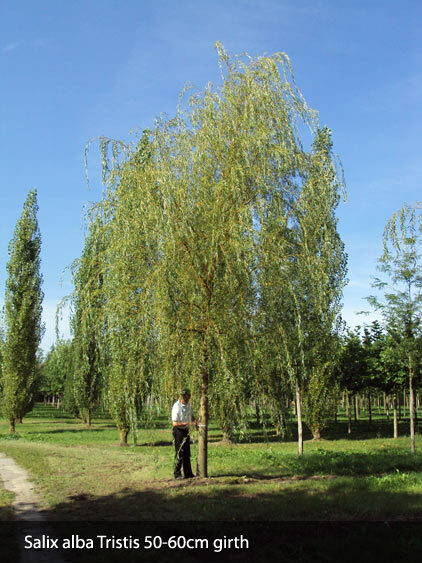 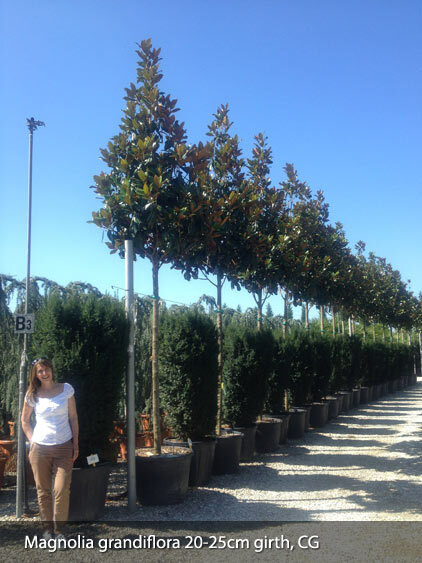 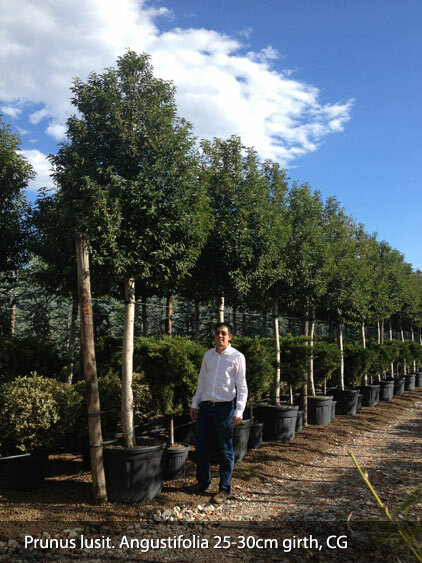 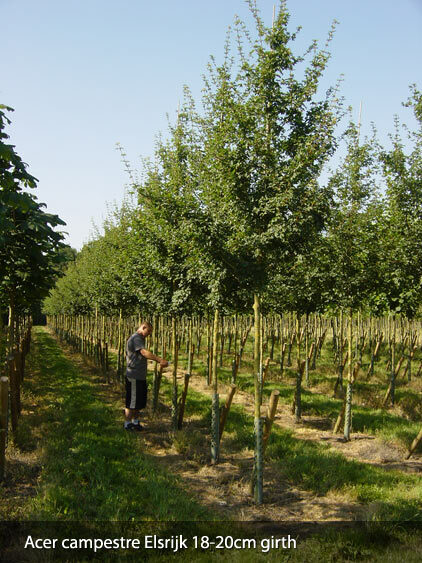 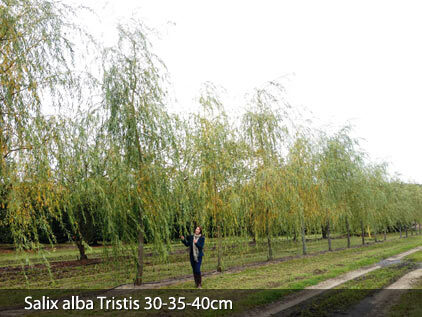 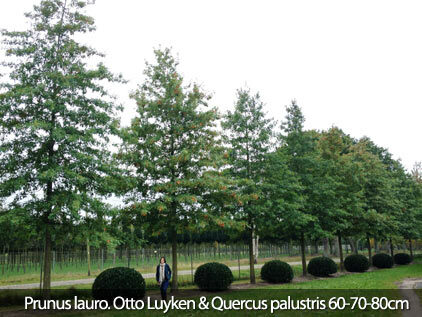 The stem heights of our stock are in general between 1.8-2.5m but trees with heights of 3-12m are possible. 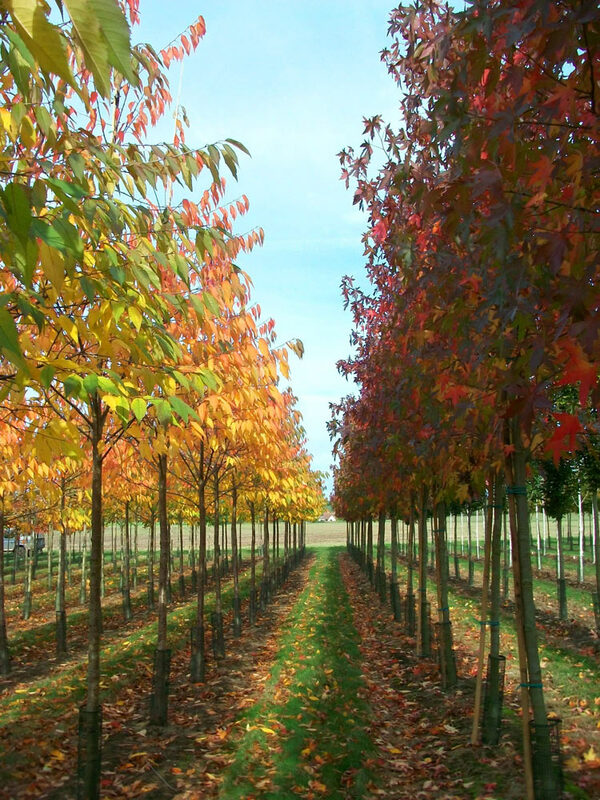 Each season has its own surprises with flowers, fruits and autumn colours which can highlight different features in your gardens at different times of the year. 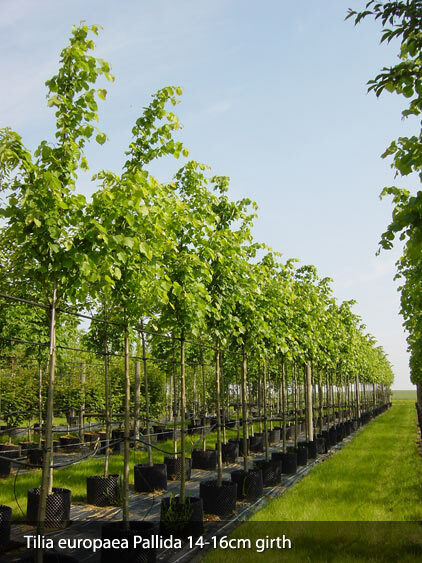 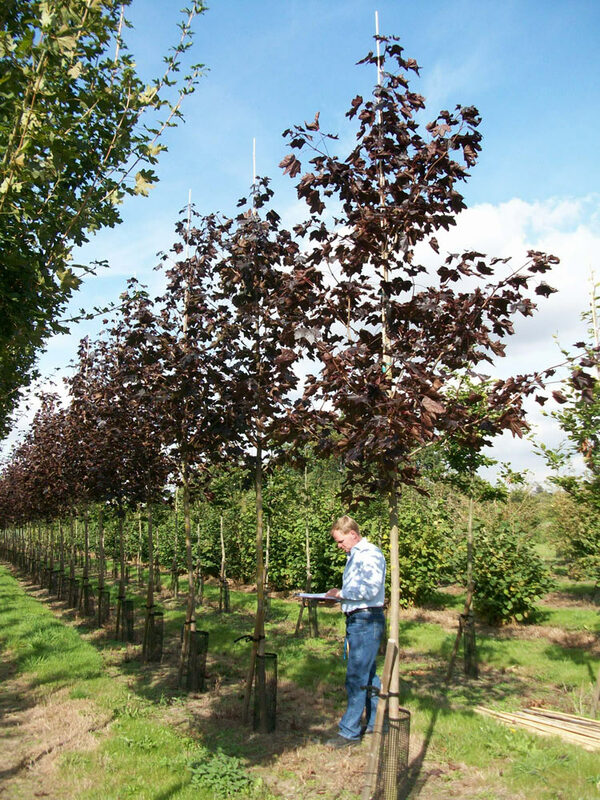 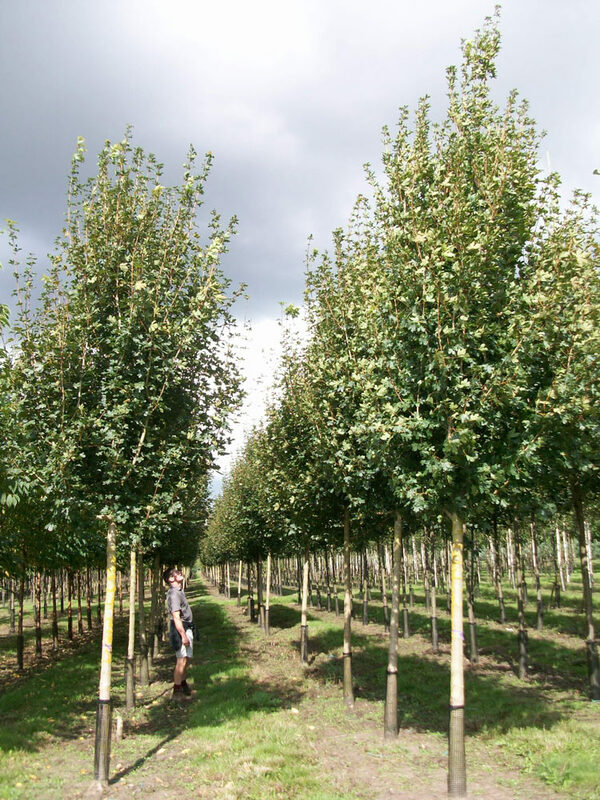 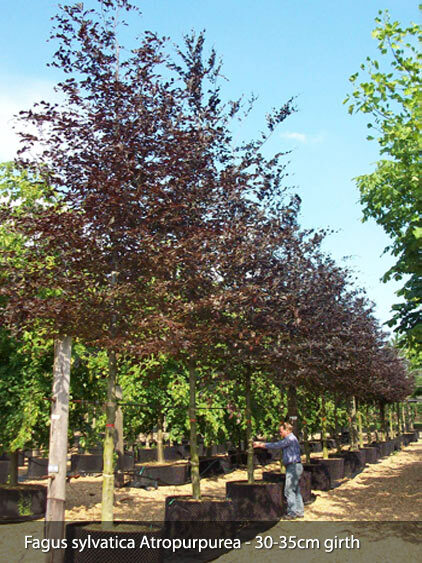 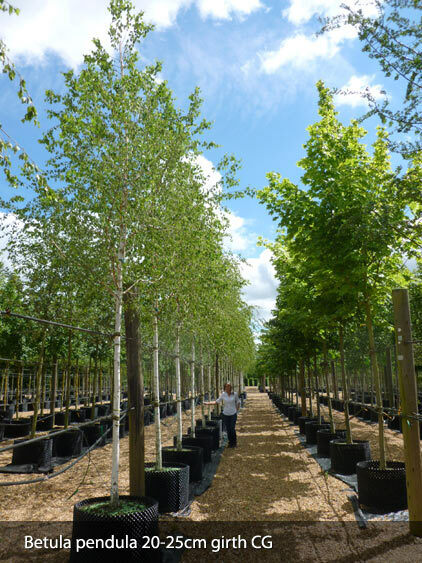 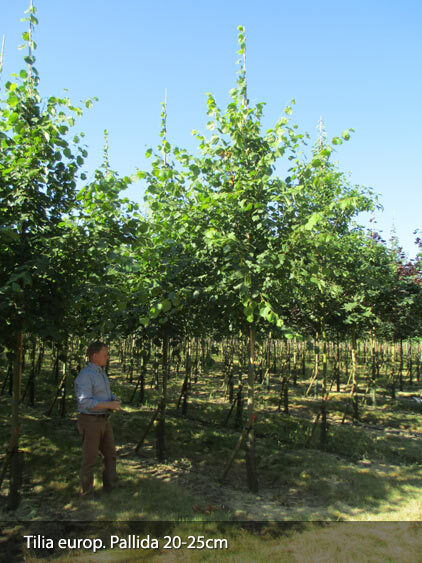 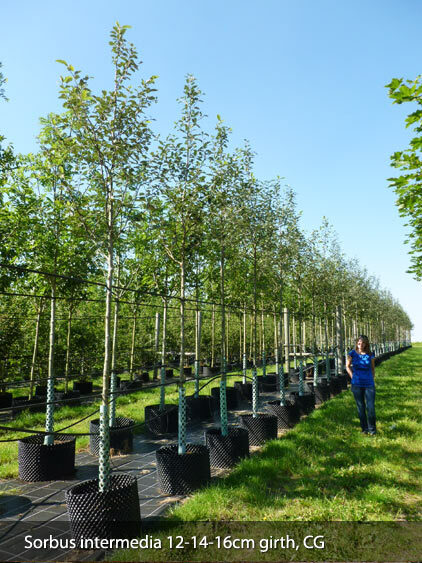 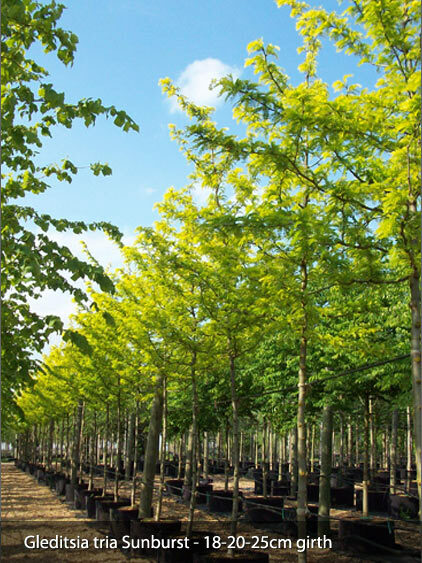 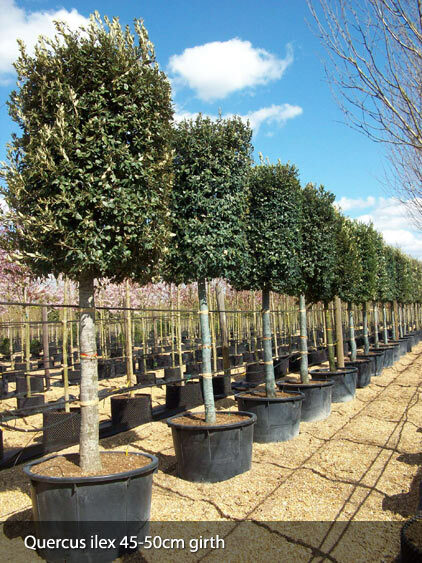 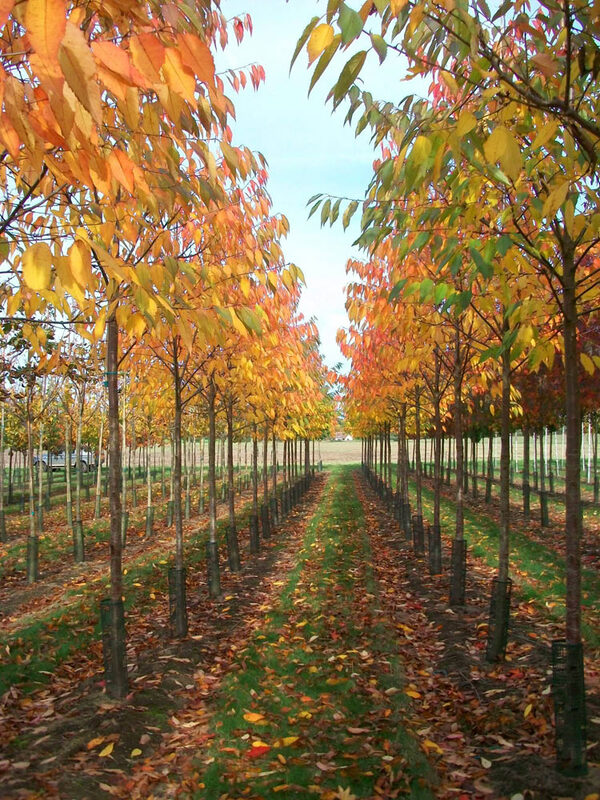 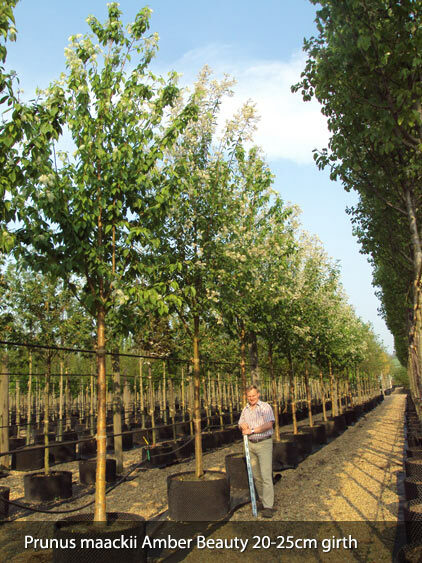 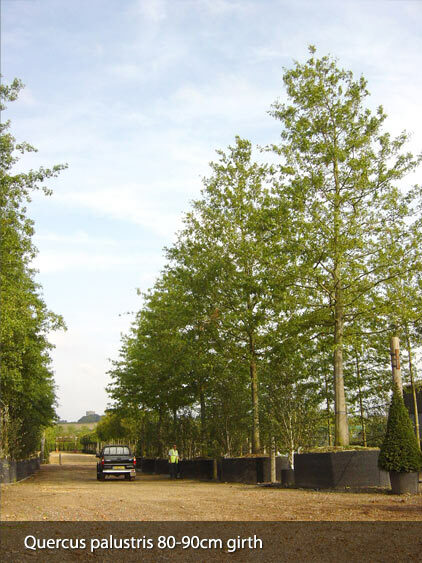 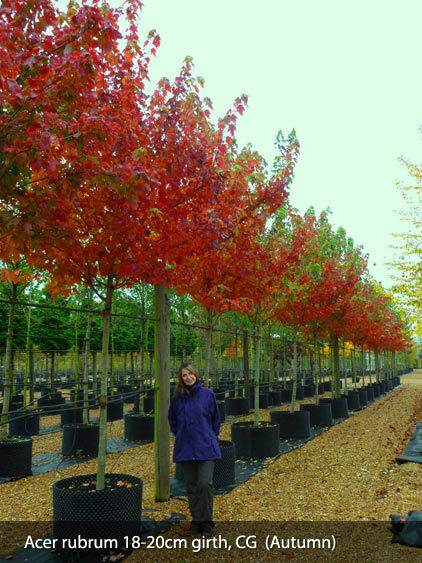 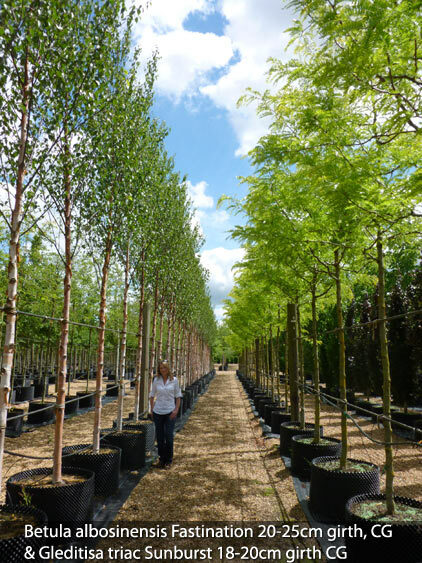 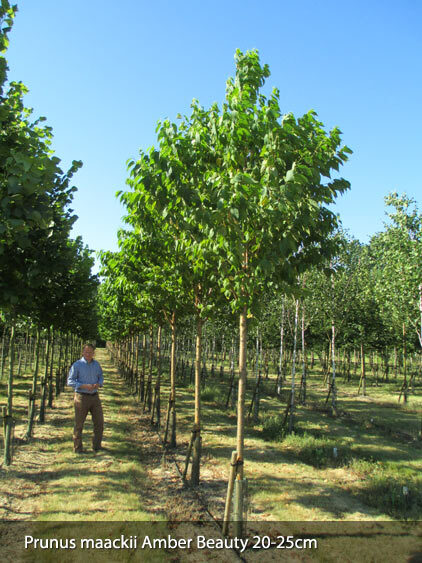 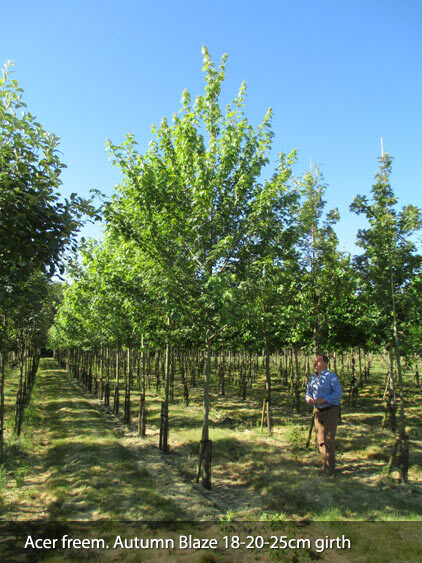 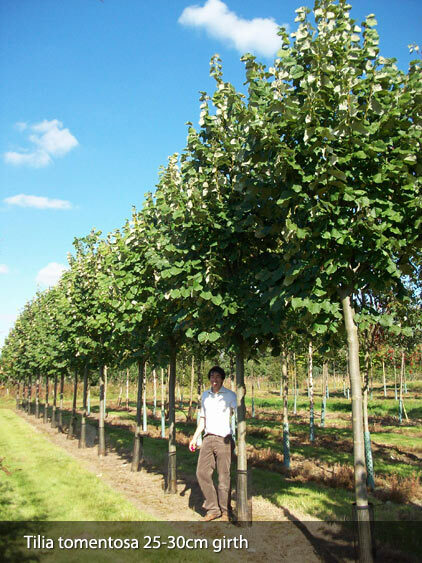 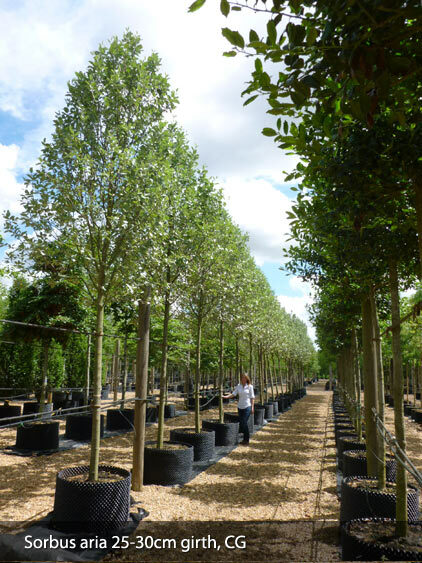 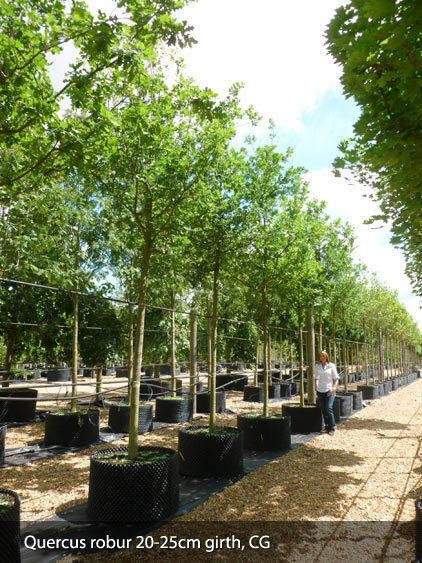 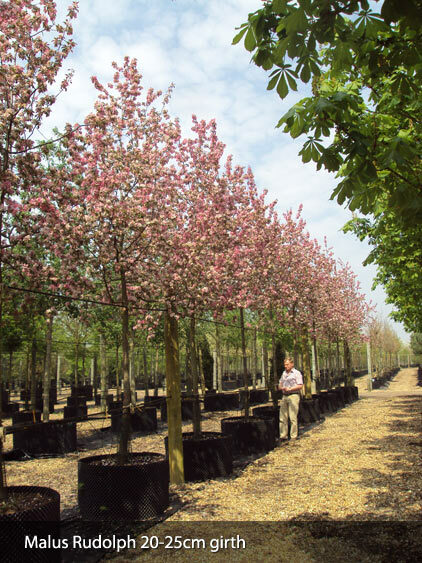 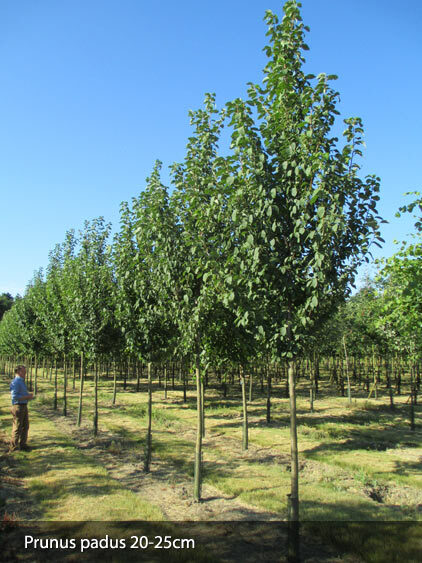 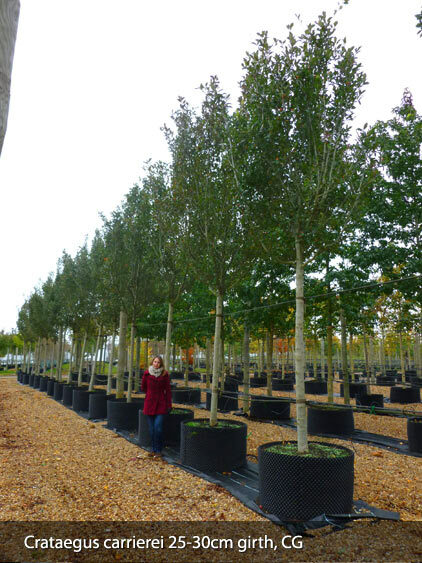 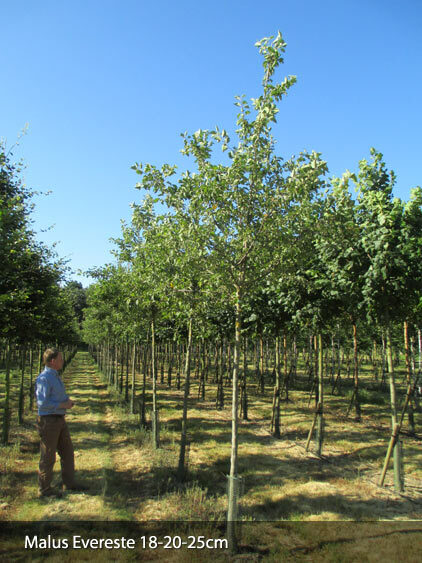 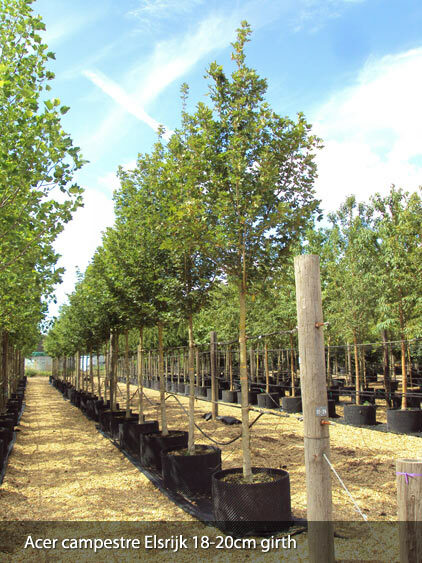 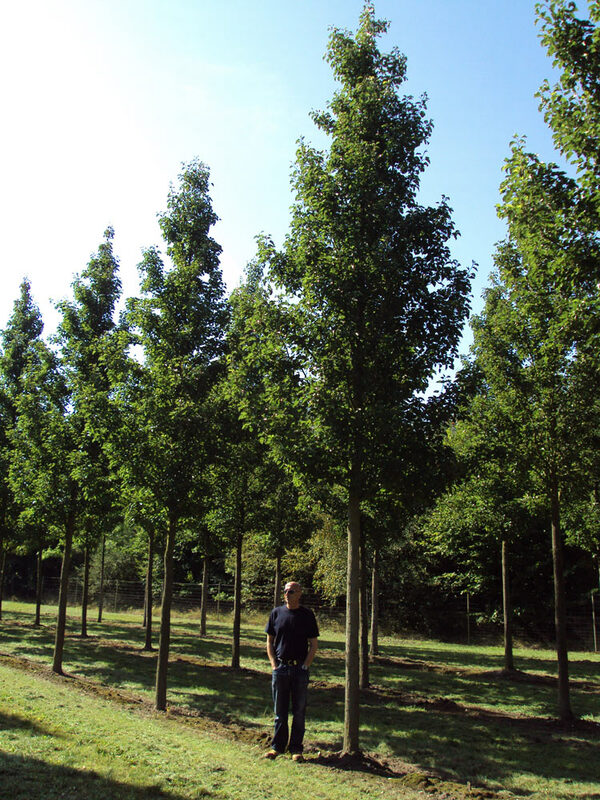 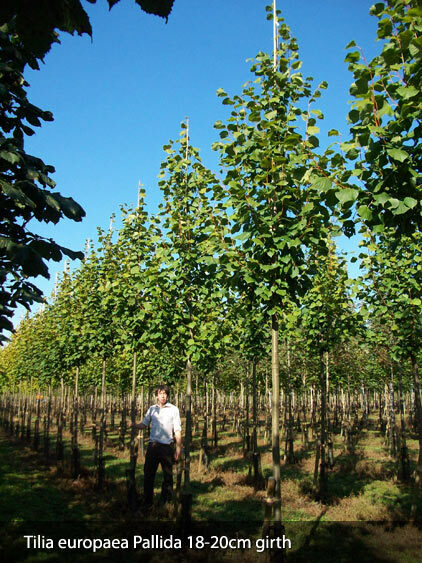 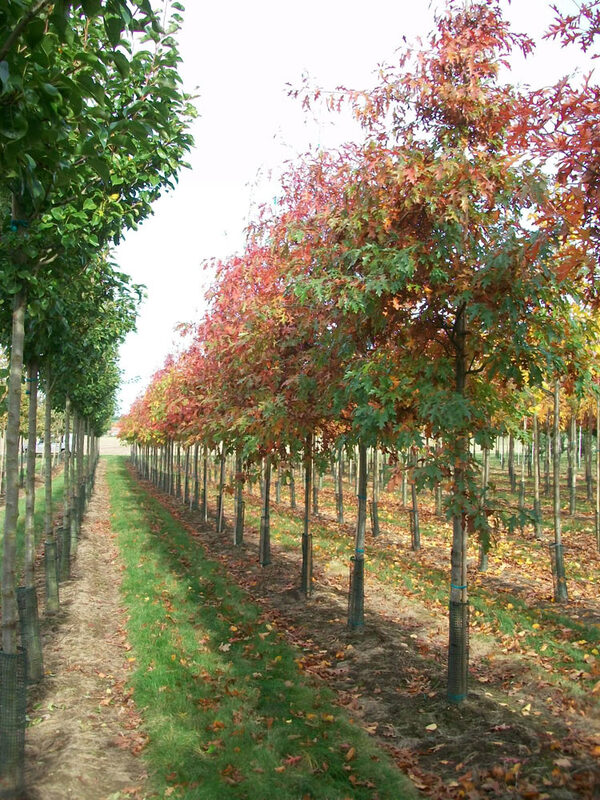 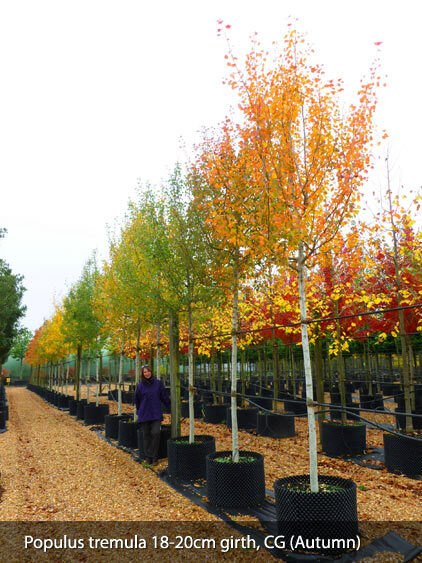 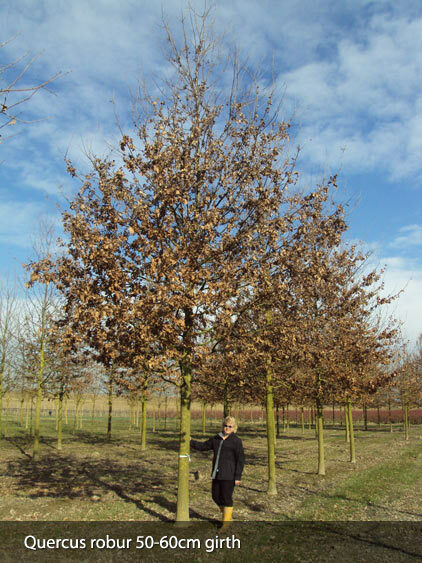 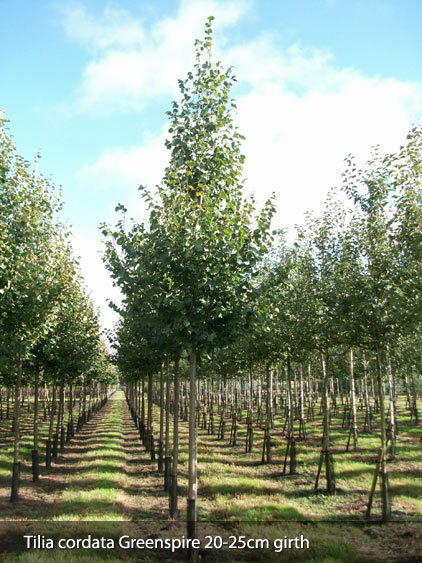 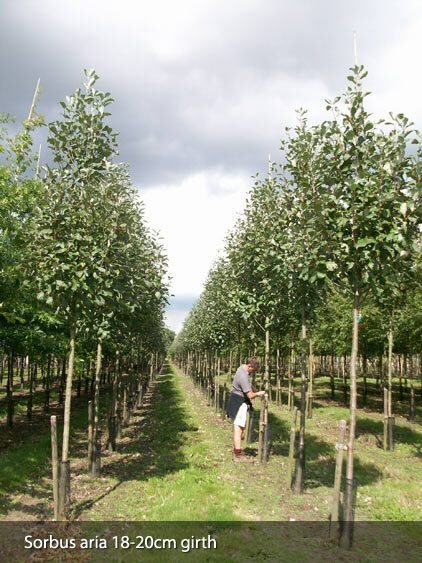 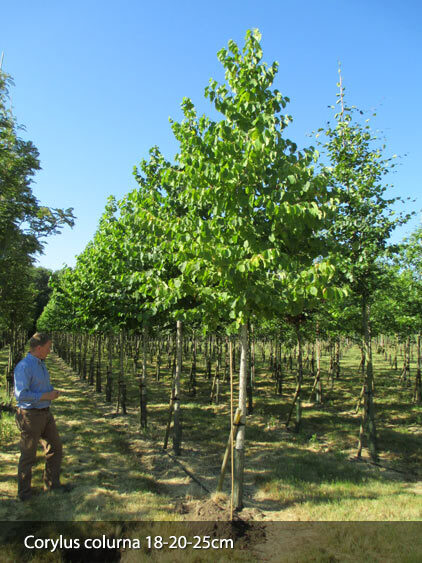 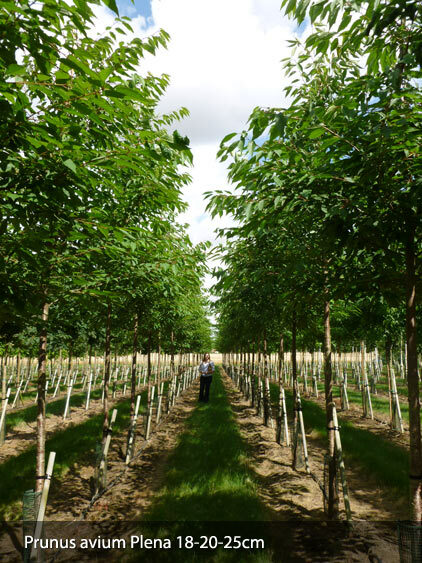 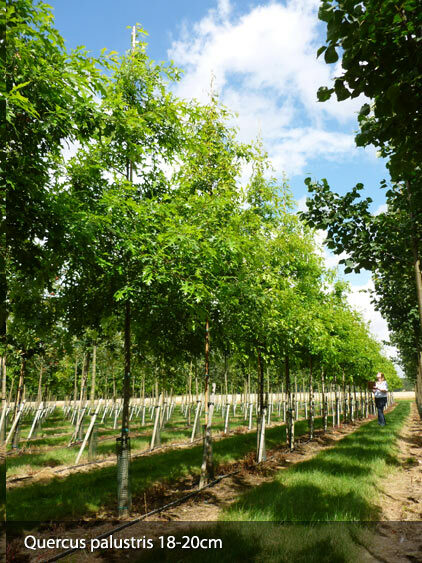 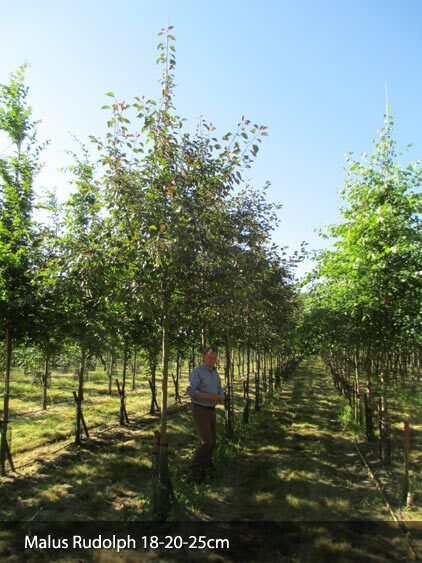 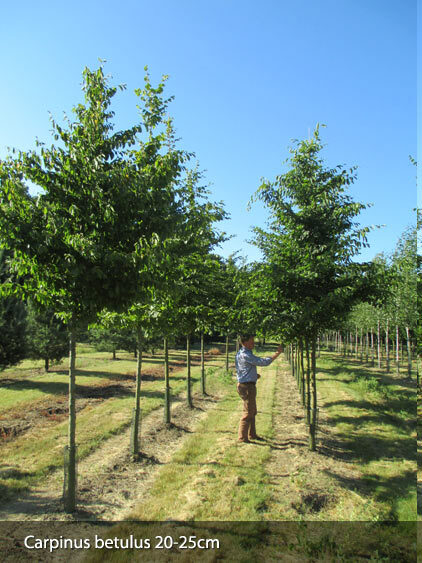 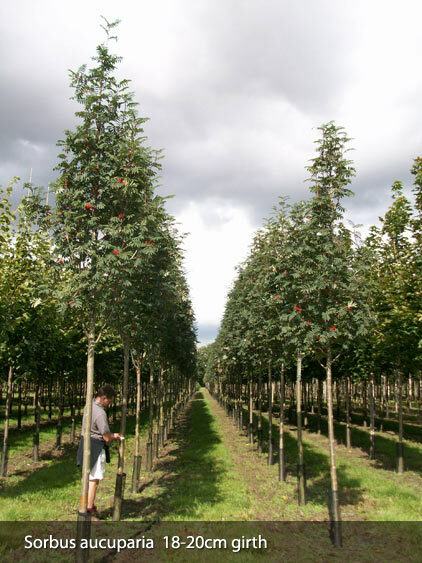 Standard Trees are sold by girth and we can offer a fine selection of standards from 12-14cm to 120-140cm girth, in a wide selection of varieties including rarities and if not stocked can be sourced from our extensive network of UK & European nurseries if required. 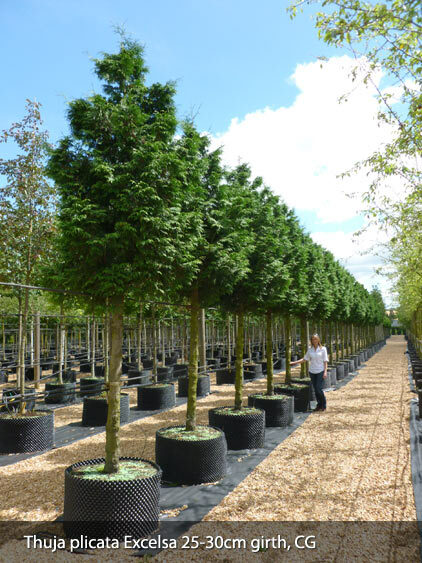 Dependent on the time of year we can supply your project with either container grown using our Air-Pot® Container System (see below), which are available all year round or field grown which dependent on weather and ground conditions are available from Late October/ Early November until Late March/ Early April to bring your concept into a reality. 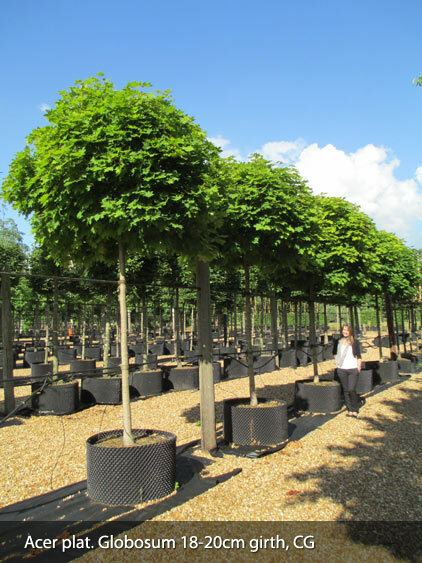 Most importantly, Air-Pot® grown trees and shrubs have a much improved fibrous root system giving better transplant resilience and no transport shock. 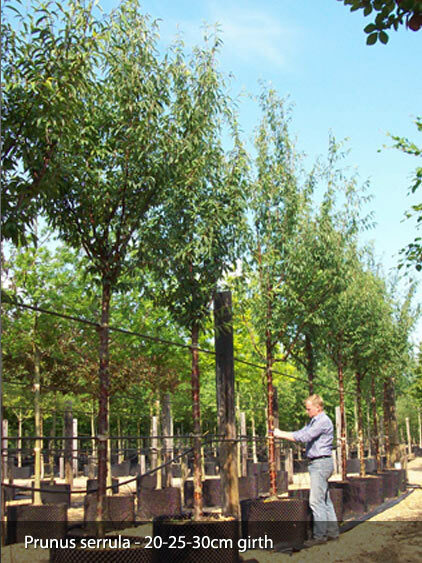 As they are packaged in a conventional root ball they simple to handle and easy to anchor. 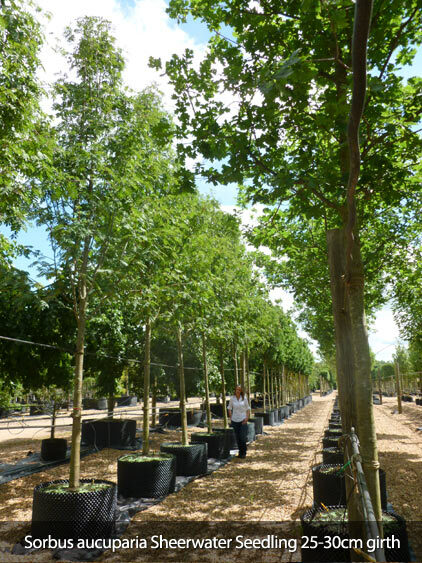 We are always happy to give advice and help you to find the right trees for your project, just contact us with your requirements!